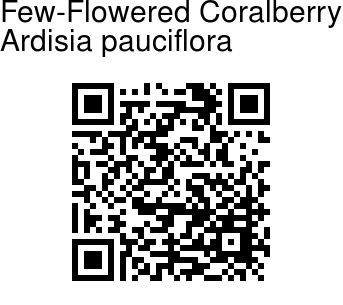 Few-Flowered Coralberry is a shrub with branchlets radiate, densely dotted with red glands. Leaves are elliptic, tapering at both ends, densely dotted with black glands below, nerves indistinct; leaf-stalk 5 mm long. Flowers are borne in	umbel-like racemes in leaf-axils. Flower-cluster-stalks are up to 1.5 cm long. Flowers are few-together; flower-stalks short; sepals ovate, pointed, hairy, dotted; petals are 2.5 mm long, ovate, pointed, reddish brown, hairless; anthers apiculate. Berry is 6 mm across, spherical, black, smooth. 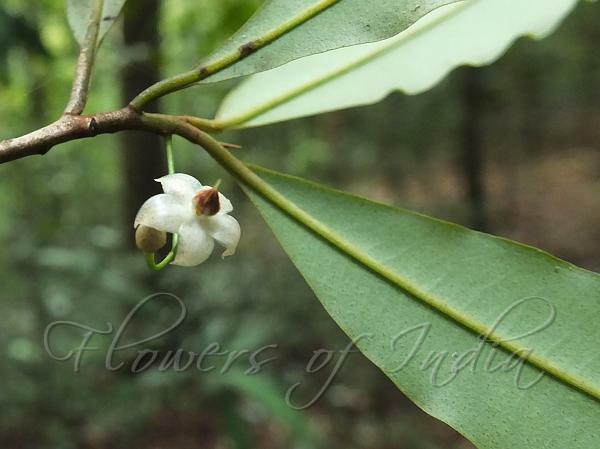 Few-Flowered Coralberry is found in South India and Sri Lanka. Flowering: February-May.